Queen Rania of Jordan visited Masahati Carnival organized by Madrasati initiative at Millennium Park in Amman, Jordan. The Madrasati initiative was launched by the Queen in 2008 to improve learning environments in Jordanian public schools. Masahati consists of five distinct student clubs which develop youth’s intellectual and technical skills. The program aims to empower students to become responsible citizens, promoting solidarity and collaboration between youth and the community at large. Crown Princess Mary of Denmark attended Holger Skeel's baptism (probably, confirmation) held at Budolfi Church in Aalborg in Denmark.The Crown Princess went to Skeel family's residence for lunch after the baptism in the Church. At baptism, Crown Princess Mary wore a new floral embroidered midi dress from VILSHENKO. Princess Marie of Denmark attended Geokids event which is a child art project of Danish National Commission for UNESCO, held at Geopark Odsherred. With Geokids project, pupils receive an education course with a "star race" in the nature of Geopark Odsherred. Pupils receive information about the landscapes and create a Geokids mask with clay. The project is supported by Odsherred Municipality and National Art Foundation. Princess Marie is the patron of Danish National Commission for UNESCO. 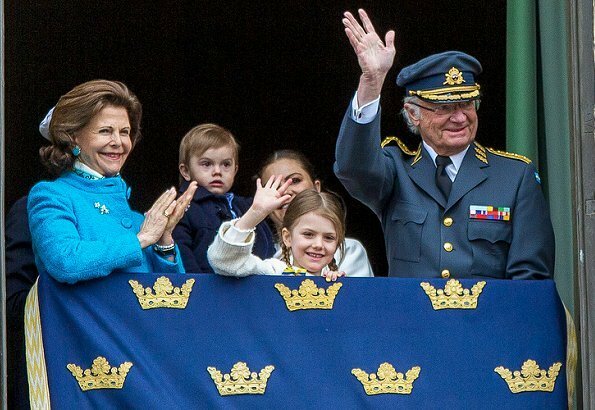 King Carl XVI Gustaf of Sweden celebrates his 72nd birthday. People gathered at the Royal Palace to celebrate 72nd birthday of the King. Military groups from the Royal Guards and soldiers attended the celebration. Swedish royal family members, Queen Silvia, Crown Princess Victoria, Prince Daniel, Princess Estelle, Prince Oscar, Princess Sofia, watched the celebrations at the balcony of the Royal Palace. The younger daughter of King Felipe and Queen Letizia, Infanta Sofía celebrates her 11th birthday today. Infanta Sofía was born on 29 April 2007 at 4:50 pm in the Ruber International Hospital in Madrid. Sofía is second in line to the Spanish throne behind her sister, but not the heiress to the crown, which is why she has the title of infanta, indicating she's the eldest sibling to the princess. Happy birthday to you, Infanta Sofía. 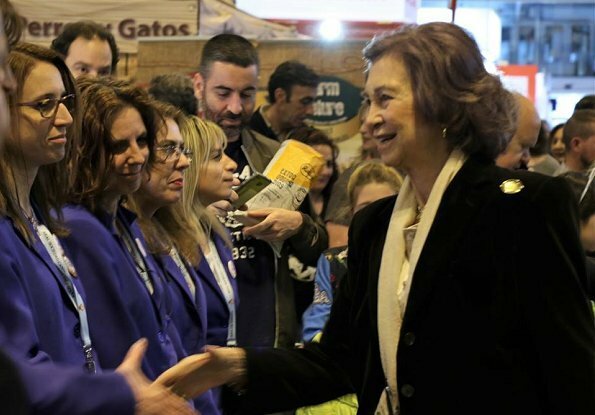 On April 29, 2018, Queen Sofia of Spain visited the 8th edition of 100x100 Mascota 2018 Fair held at IFEMA in Madrid, Spain. The 100x100 Mascota Fair provides information on pet adoption and an opportunity to meet animals awaiting adoption .The purpose of this initiative is to encourage people to adopt abandoned animals and responsible pet ownership and animal wellbeing. 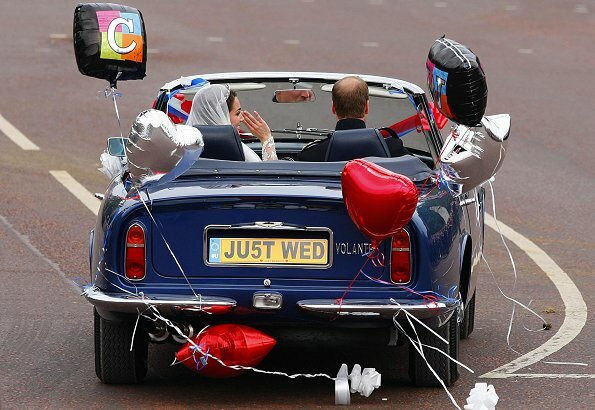 The Duke and Duchess of Cambridge celebrate their seventh wedding anniversary on Sunday, 29 April. The couple welcomed their third child together just days before their wedding anniversary this year. 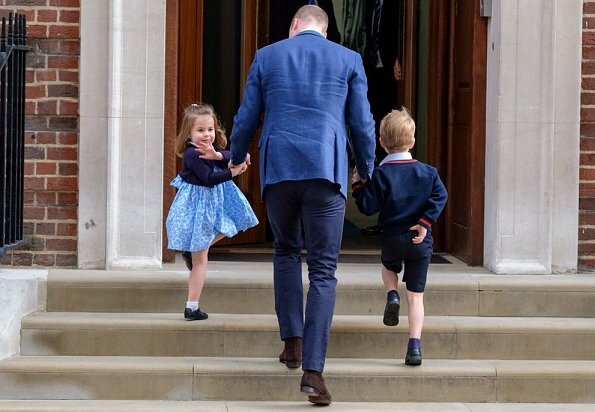 They are now parents to Prince George, Princess Charlotte and Prince Louis. Kensington Palace posted a thank-you message alongside their wedding photo on Twitter today: "Seven years ago today - thank you for all the lovely messages on The Duke and Duchess of Cambridge's wedding anniversary!." 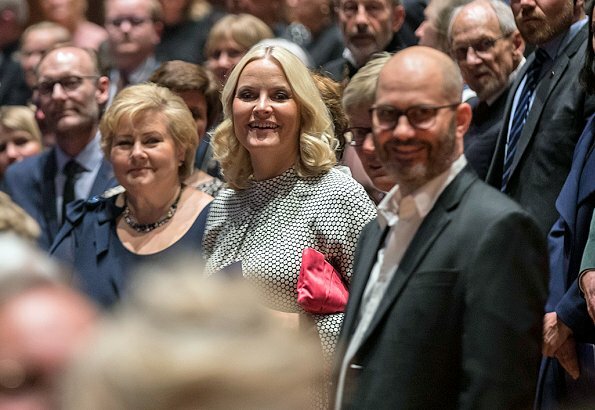 On April 28, 2018, Crown Princess Mette-Marit of Norway attended celebrations of 150th anniversary of establishment of Det Norske Samlaget, held at Norway Theatre in Oslo. Det Norske Samlaget was established in March 24, 1868 and is a Norwegian publishing house established for the purpose of introducing and publishing the books in Landsmål. The main activities of the publishing house include defining and introducing good Nynorsk authors and making quality books available. 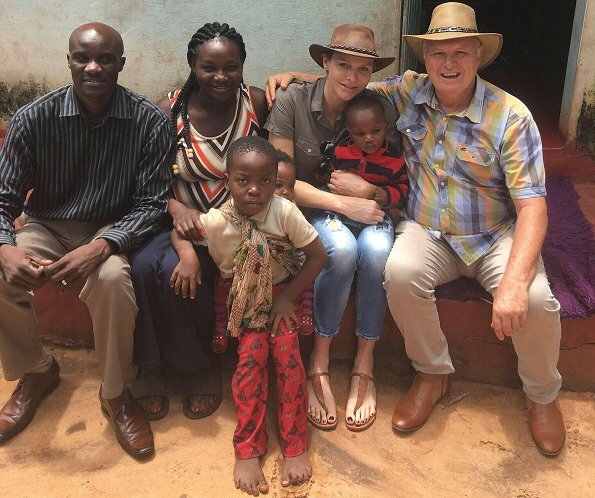 During the activities carried out by Princess Charlene Foundation in South Africa, Princess Charlene of Monaco visited Livingstone city of Zambia. The Princess visited an assistant priest's house together with the project team of the her Foundation and carried out negotiations to help poor people living in the region and to receive information about school projects which will be initiated in the region for education. The visit took place in the past couple of weeks. On her Instagram and Facebook page, Swedish Princess Madeleine shared new photos with a message. In the message, the Princess said: "Thank you for all the kindness that has been shown to us on the birth of our youngest daughter Adrienne!" (Photo Erika Gerdemark, Royal Court). Princess Adrienne was born on 9 March 2018 at Danderyd Hospital. Princess Adrienne’s christening will take place in the Royal Chapel at Drottningholm Palace on Friday 8 June 2018. 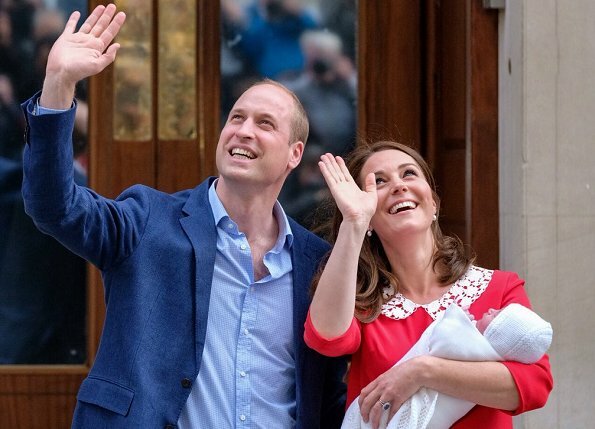 Prince William and Duchess Catherine of Cambridge have named their third child Louis Arthur Charles. The announcement was made on Twitter by Kensington Palace in a post on Twitter. Kensington Palace said: The Duke and Duchess of Cambridge are delighted to announce that they have named their son Louis Arthur Charles. "The baby will be known as His Royal Highness Prince Louis of Cambridge." 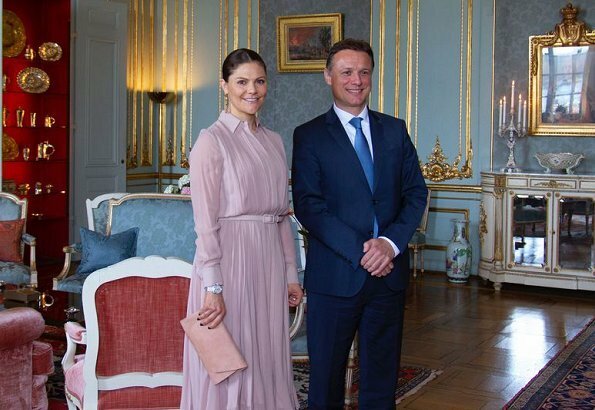 On April 27, Friday, Crown Princess Victoria of Sweden and Prince Daniel of Sweden is visiting Latvia to mark 100th anniversary of independence of Latvia. 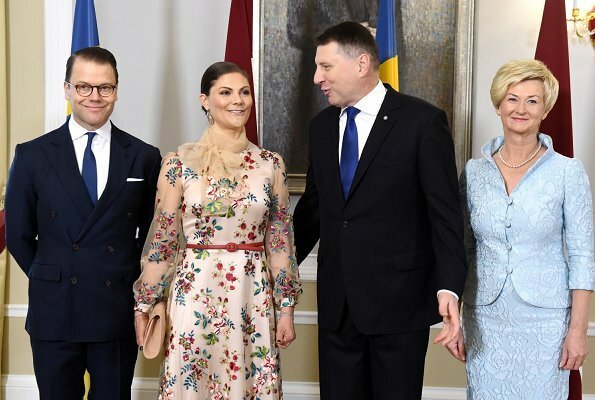 President of Latvia, Raimonds Vējonis and Ms. Iveta Vējone welcomed Crown Princess Victoria and Prince Daniel with a state ceremony held at Riga Presidential Palace. 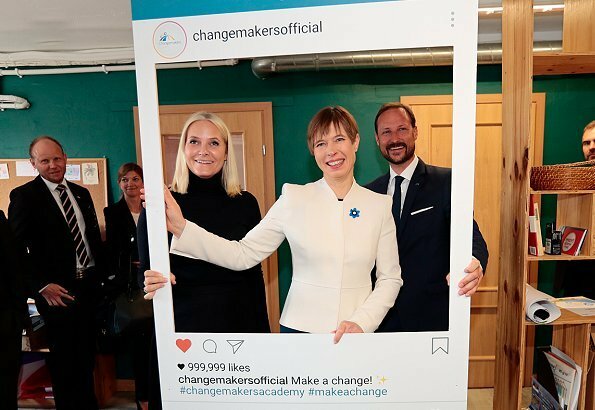 After the lunch held at the Presidential Residence, the Crown Princess Couple visited Stockholm Economy School and Latvia National Library in Riga. The Couple will attend the opening of "Portable Landscapes" exhibition at Latvia National Art Museum. On April 27, 2018, King Willem-Alexander, Queen Máxima, Crown Princess Catharina-Amelia, Princess Ariane, Princess Alexia, Princess Laurentien, Prince Constantijn, Prince Maurits, Princess Aimee, Prince Maurits and Princess Marilène attended King's Day 2018 celebrations in Groningen. The Royal Family met with local people and watched musical performances held at the City Park and attended the events held as part of celebrations. King's Day is the national holiday when birthday of the King is celebrated. This year, King's Day is being celebrated in Groningen city. 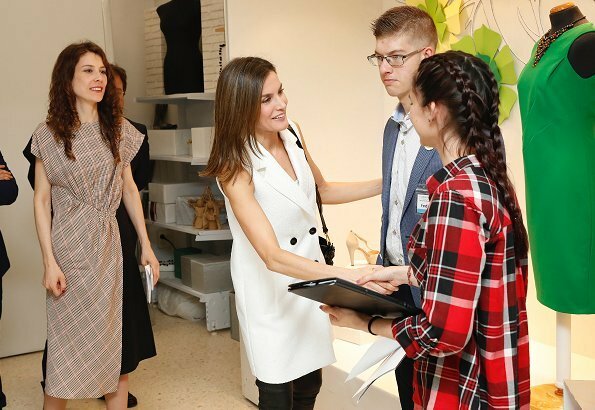 On April 26, 2018, Spanish Queen Letizia attended the opening of '5th Rare Diseases Education Congress' held at Pedro de Valdivia High School in Villanueva. The education congress is held by Spanish Rare Diseases Federation (FEDER). The congress aims to establish an ideal education model which can give an inclusive education to children with rare diseases and their families, who are living in the countryside. 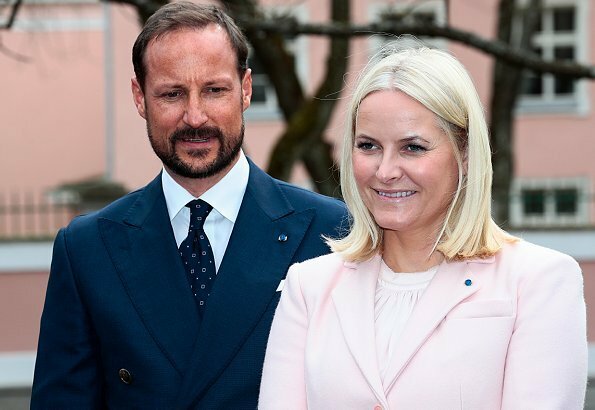 The tour of Crown Prince Haakon and Crown Princess Mette-Marit of Norway in Baltic States ended with a visit to Estonia today. The Crown Prince Couple attended many events in Tallinn which is in UNESCO cultural heritage list. The Prince Couple visited Telliskivi Creative City where there are dining places and rendezvous points, modern businesses and organizations. After Telliskivi visit, Crown Prince Haakon and Crown Princess Mette-Marit visited Old Town of Tallinn consisting of historic buildings. In order to celebrate 5th anniversary of enthronement of Dutch King Willem-Alexander, RDV released new photos of King Willem-Alexander and Queen Maxima. 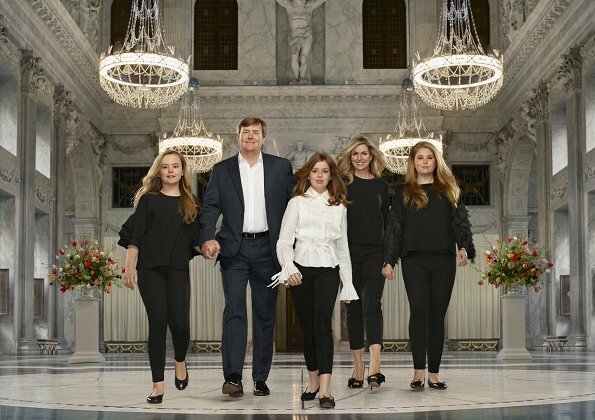 In addition to that, Netherlands Government Information Service (RDV) released a series of photos of King Willem-Alexander, Queen Maxima, Crown Princess Catharina-Amalia, Princess Alexia and Princess Ariane of The Netherlands. The photos were taken by Erwin Olaf at Amsterdam Royal Palace in March. On 25 April 2018, King Jigme Khesar Namgyel Wangchuck and Queen Jetsun Pema opened the 4th Royal Bhutan Flower Exhibition at the Thangzona in Punakha. Royal family members attended the opening of the Royal Bhutan Flower Exhibition at the Thangzona in Punakha. On April 25, 2018, Wednesday, Crown Princess Victoria did her seventh hiking in the landscape of Sweden this time in Lappland. The hiking took place in Tärnaby and Hemavan. The day began with a school visit in Tärnaby, where pupils start school education with outdoor education. 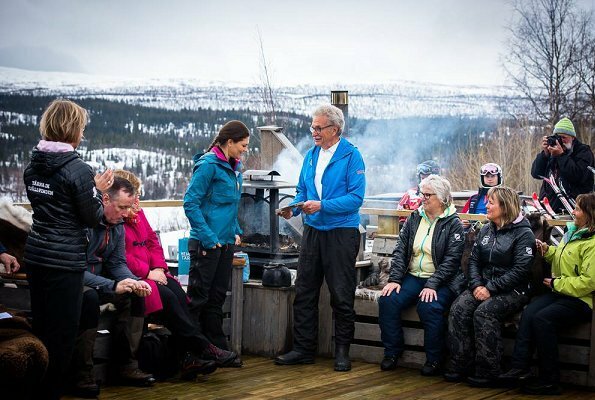 After the school visit, the Crown Princess hiked towards Ingemarbacken and met with members of IK Fjällvinden Association. The Crown Princess went from Tärnaby to Hemavan where the hiking was done on skis. The Crown Princess skied together with pupils. On the 4th day of Japan state visit of King Carl XVI Gustaf of Sweden and Queen Silvia of Sweden, made upon the invitation of Japanese government on the occasion of 150th anniversary of begining of diplomatic relations between Sweden and Japan, the King and the Queen visited Japan Business Federation and attended Business Sweden Seminar there. 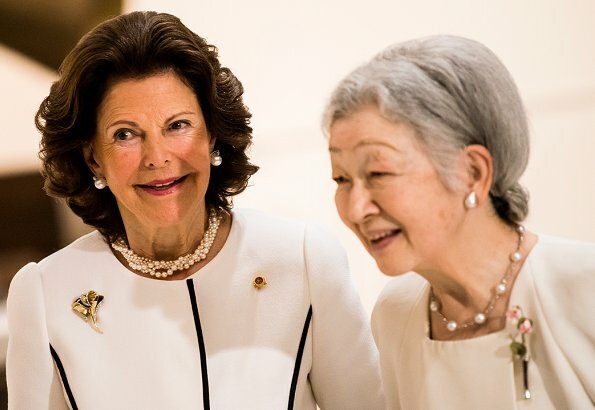 Queen Silvia and Japanese Princess Takamado visited a Dementia Centre. Afterwards, the King and the Queen attended a reception and then a dinner with Prime Minister Shinzo Abe and his wife Akie Abe at Akasaka Palace in Tokyo. Every year, Copenhagen Chamber of Commerce hosts Denmark's annual LGBT award show, Danish Rainbow Awards AXGIL. Danish Rainbow Awards AXGIL is a non-profit event held by volunteers and gave awards to individuals and companies which made a positive and significant difference in the LGBT community. The award ceremony was held at Circus Building in the center of Copenhagen and awards were given in eight categories including media, event, sports, film and honor award. 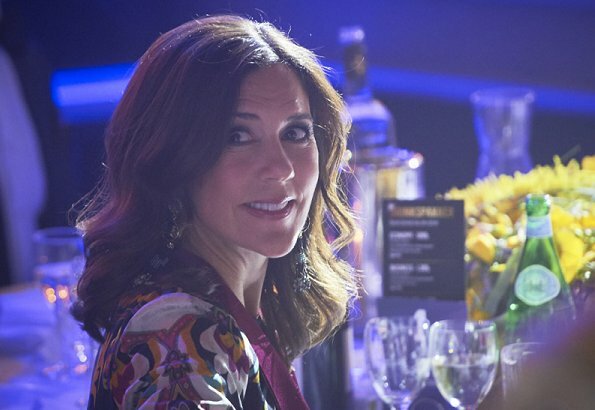 This year, Crown Princess Mary presented of Rainbow 2018 honor award to LGBT Danmark. Princess Marie of Denmark attended the Barndrømmen's (Dreams of Childhood) Spring Concert held at the Church of Holmen in Copenhagen. The purpose of the Barndrømmen is to focus on the positive contributions of music, art and culture on the development of skills of poor and unguarded children. (Princess Marie wore a claret red dress from Kusima collection of Hugo Boss, which she had worn before). 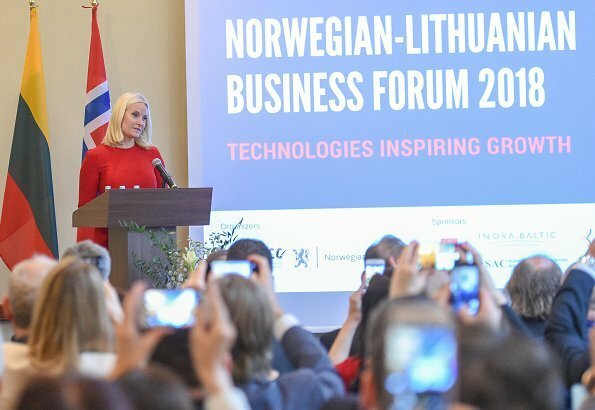 On April 25, 2018, Crown Prince Haakon of Norway and Crown Princess Mette-Marit of Norway visited Latvia today. President of Estonia, Kersti Kaljulaid welcomed the Crown Couple with a state ceremony held at the Presidential Palace in Tallinn. In the evening, Crown Prince Haakon and Crown Princess Mette-Marit attended an official dinner held by President Kersti Kaljulaid at Kadriorg Art Museum in Tallinn. 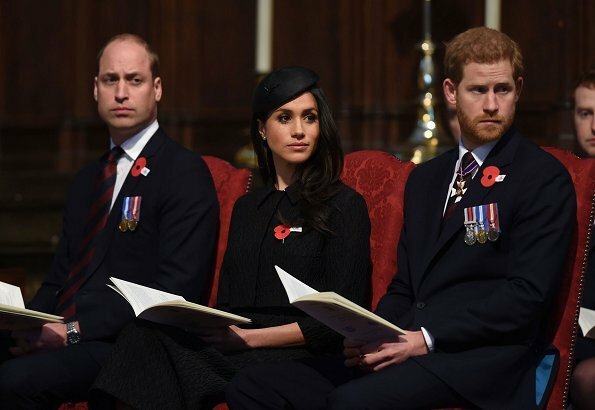 On April 25, 2018, Prince William, Duke of Cambridge, Prince Harry and Meghan Markle attended an service of commemoration and thanksgiving to mark Anzac Day in Westminster Abbey in London. Anzac Day marks the anniversary of the first major military action fought by Australian and New Zealand forces during the World War. 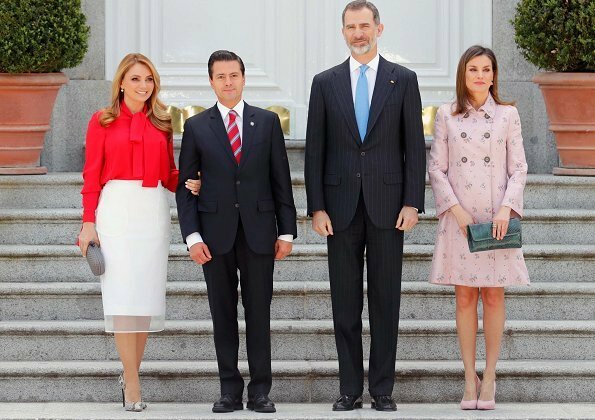 On April 25, 2017, King Felipe of Spain and Queen Letizia of Spain held a lunch at Madrid Zarzuela Palace for President of Mexico, Enrique Peña Nieto and his wife First Lady Angélica Rivera who are in Spain for a working visit. 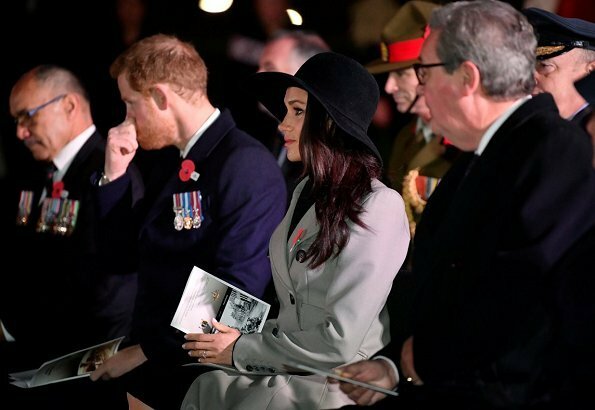 On April 25, 2018, Prince Harry and his fiancee Meghan Markle attended the Dawn Service held at Hyde Park Corner to commemorate Anzac Day. Anzac Day commemorates Australian and New Zealand casualties and veterans of conflicts and marks the anniversary of the landings in the Dardanelles on April 25, 1915 that would signal the start of the Gallipoli Campaign during the First World War. Queen Rania visited the village of Hayyan Rwaybed in Mafraq to meet with members of the local community, including beneficiaries of an economic-empowerment program supported by the Royal Court. Financed under a royal grant and implemented in collaboration with the Community Centers Association the scheme provides 145 community members with financing to launch their own income-generating projects. In the evening of April 24, 2018, King Willem-Alexander and Queen Máxima received Diplomatic Corps at the Royal Palace in Amsterdam for annual gala dinner. This year's dinner focuses on politics and governance. For that reason, representatives of public sector were also invited to the gala dinner. In addition to the Royal Couple, Princess Beatrix, Princess Margriet and Prof. Pieter van Vollenhoven also attended the dinner. 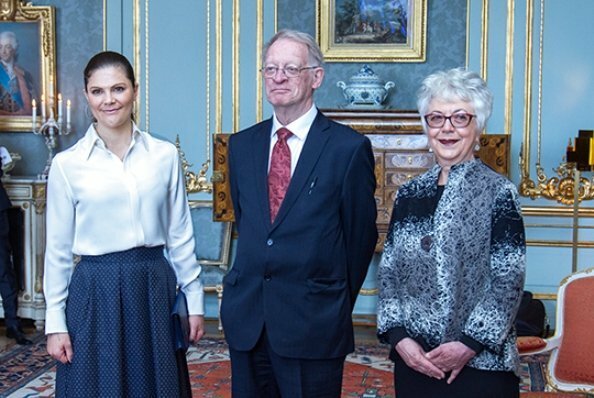 On April 24, 2018, Tuesday, Crown Princess Victoria of Sweden presented 2018 Vega Medal with a ceremony held at Stockholm Royal Palace. Geography Professor Gillian Hart of Witwatersrand University was deemed worthy of this year's Vega Medal because of his contributions to human geography. That medal was initiated by Swedish Anthropology and Geography Association (SSAG). Vega Medal is given by Swedish Anthropology and Geography Association to "people who have promoted geographical research in an excellent manner". At the ceremony, the Princess also presented 2018 Johan August Wahlbergs gold medal to Emeritus Professor Arild Holt-Jensen. 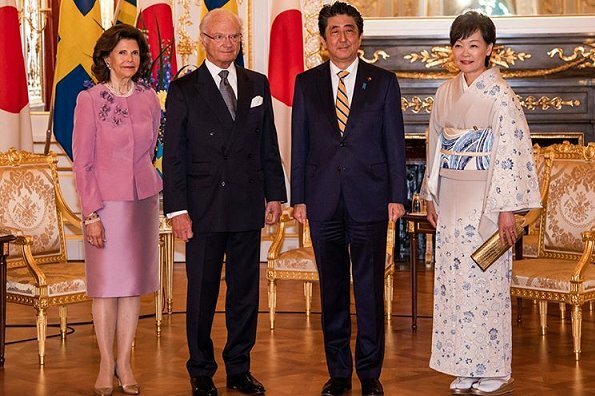 Upon the invitation of Japanese government on the occasion of 150th anniversary of beginning of diplomatic relations between Sweden and Japan, King Carl Gustaf of Sweden and Queen Silvia of Sweden are visiting Japan. On the 3rd day of their visit to Japan, the King of Sweden and the Queen of Sweden attended a forum on business form and Dementia. The Queen attended a panel on "Education in Dementia" and "Life solutions for people with Dementia". Then, the King and the Queen invited Crown Prince Naruhito of Japan and Crown Princess Masako to lunch. The King and the Queen met with Japanese Crown Prince Couple at lunch at Palace Hotel in Tokyo. Between the dates of April 23-26, Norway's Crown Princess Mette-Marit and Norway's Crown Prince Haakon make an official visit to Baltic States, that is, Latvia, Lithuania and Estonia on the occasion of 100th anniversary of their Declaration of Independence. Crown Prince Haakon and Crown Princess Mette-Marit visited Lithuania today. 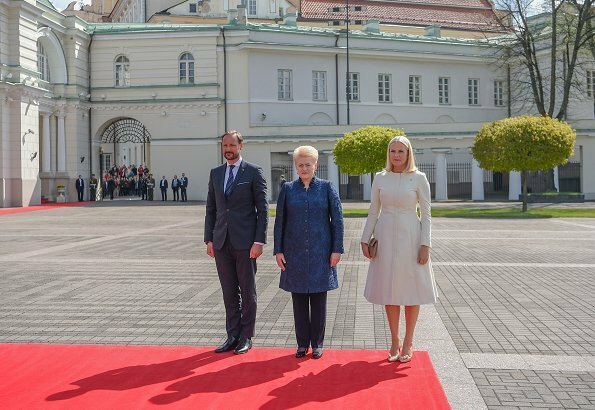 Lithuanian President Dalia Grybauskaite welcomed Prince Haakon and Princess Mette-Marit with a state ceremony held at the Presidential Palace in Vilnius. Mexico's President Enrique Pena Nieto and his wife Angelica Rivera de Pena are presently in the Netherlands for an official visit. 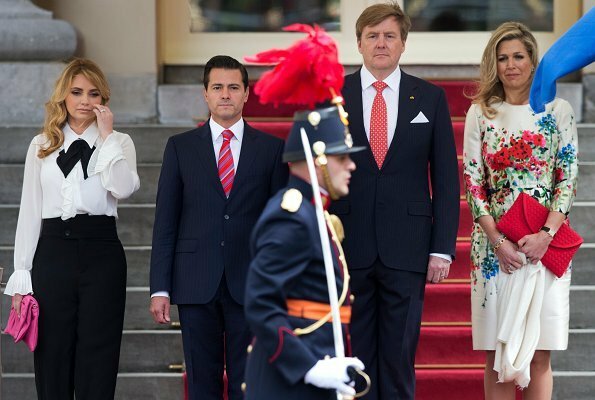 On April 24, 2018, King Willem-Alexander and Queen Maxima of the Netherlands held a welcoming ceremony for Mexican President Pena Nieto and his wife Angelica Rivera de Pena at Noordeinde Palace in The Hague. The visit of Mexican President is dedicated to perpetuating and broadening political relations and increasing economic cooperation in the fields of energy and offshore, maritime, water, agro-food and infrastructure. 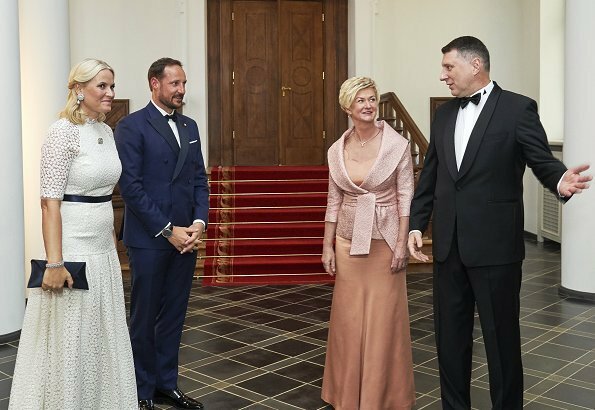 In the evening of April 23, Crown Prince Haakon and Crown Princess Mette-Marit of Norway attended an official dinner held by President of Latvia, Raimonds Vējonis and Mrs. Iveta Vējone at Riga Castle. The Crown Prince Couple currently visits Latvia, Lithuania and Estonia on the 100th anniversary of independence of Baltic States. The Crown Prince Couple will visit Vilnius, the capital of Lithuania today. On April 23, 2018, King Philippe of Belgium and Queen Mathilde of Belgium came to New York for a three day working visit. 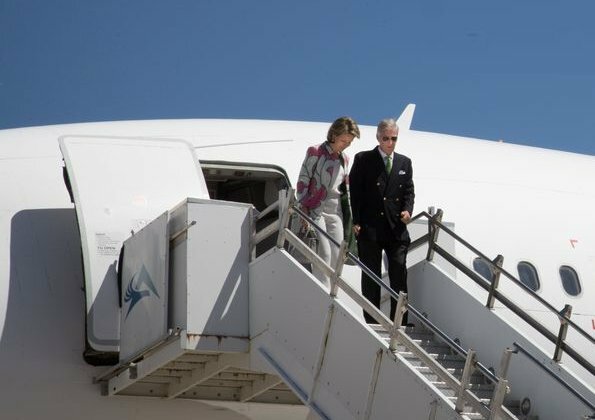 The King and the Queen were welcomed by Belgium's New York consul and Belgium's UN permanent representative at Stewart International Airport in New York, Orange County. Then, the King and the Queen visited Morgan Library and Museum and Headquarters of United Nations. 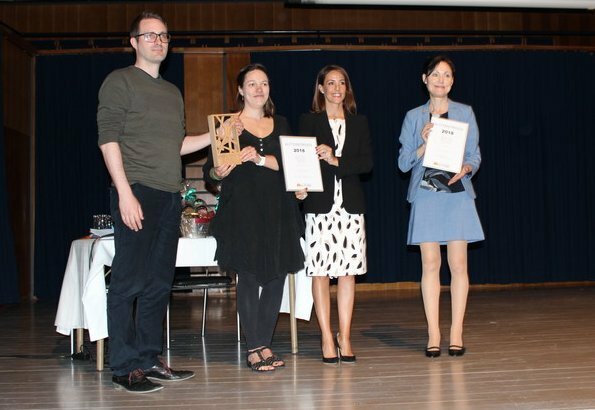 On April 23, 2018, Princess Marie of Denmark attended SIKON autism conference held at Odense Concert Hall in Odense. This year, SIKON autism conference celebrates 30th anniversary of its establishment and on the occasion of that anniversary, various events are held at the conference. At the conference which will last for two days, attendees may attend presentations and courses and share information about autism. Princess Marie is the patron of Autism National Association. On April 23, 2018, Duchess Catherine of Cambridge and Prince William, Duke of Cambridge departed the Lindo Wing with their baby boy at St Mary's Hospital in London, England. 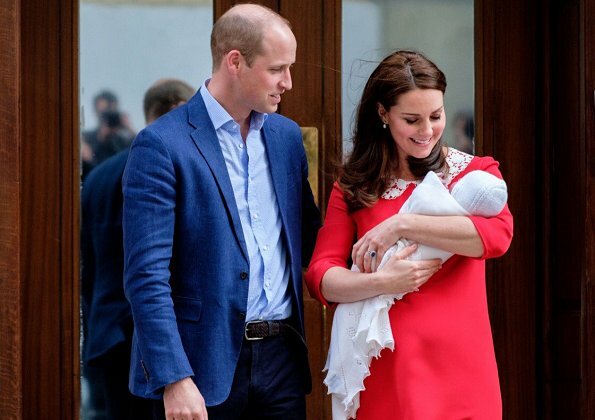 The couple's second son, who was born at 11:01 BST, weighing 8lb 7oz, (3.8 kilograms), is fifth in line to the throne. Prince George and Princess Charlotte arrived at St Mary's Hospital to meet their little brother. The Duchess of Cambridge will be leaving St. Mary’s Hospital this evening. The Duke and Duchess of Cambridge and their son will travel home to Kensington Palace. 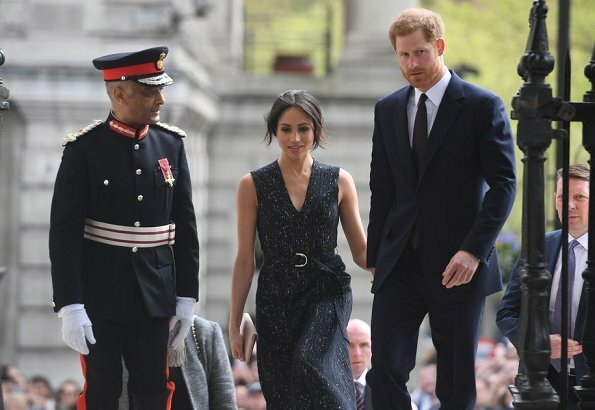 On April 23, 2018,, Prince Harry and Meghan Markle attended a memorial service held at St Martin-in-the-Fields Church in London to memorialize 25th anniversary of Stephen Lawrence murder. At the service, Prince Harry read out a support message on behalf of Prince Charles of Wales. Stephen was killed by a group of racists on April 22, 1993 in Eltham in southeast of London while waiting at a bus stop. Prince Harry and Meghan Markle met with Stephen's mother, Baroness Doreen Lawrence and his brother Stuart at the same time for "celebrate his life and legacy". Between the dates of April 23-26, Crown Prince Haakon of Norway and Crown Princess Mette-Marit of Norway make an official visit to Baltic States, that is, Latvia, Lithuania and Estonia on the occasion of 100th anniversary of their Declaration of Independence. The Crown Prince Couple visited Latvia today. President of Latvia, Raimonds Vējonis and First Lady Iveta Vējone welcomed the Crown Couple with a welcoming ceremony held at the Presidential Palace in Riga. On April 27, Friday, Crown Princess Victoria of Sweden and Prince Daniel of Sweden will visit Riga, the capital of Latvia on the occasion of 100th anniversary of Latvia's 1918 Declaration of Independence. 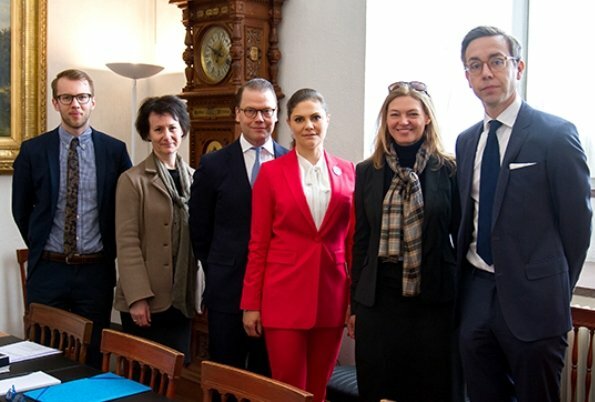 On April 23, 2018, Princess Victoria and Prince Daniel attended a meeting with officials of the Ministry of Foreign Affairs to receive in-depth information about Latvia before Riga visit. The Ministry of Foreign Affairs informed the Crown Princess couple about the current issues in Latvia. The Duchess of Cambridge, gave birth to a baby boy on Monday morning at the Lindo Wing of St. Mary’s hospital. "The baby weighed 8lbs 7oz", (3.8 kilograms), Kensington Palace said in a tweet. "The Duke of Cambridge was present for the birth. Her Royal Highness and her child are both doing well." According to tradition, news of the birth will be displayed on an easel in front of Buckingham Palace. 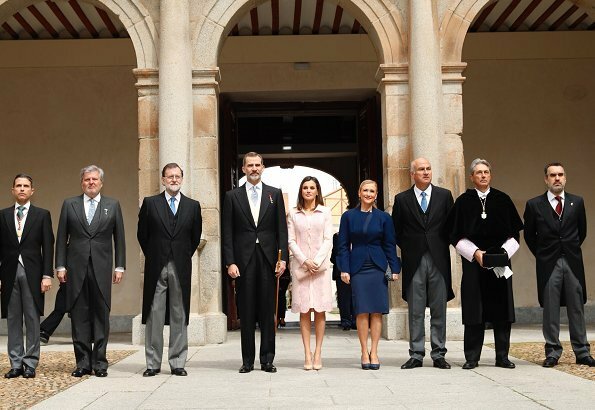 On April 23, 2018, King Felipe VI of Spain and Queen Letizia of Spain attended 2017 "Miguel de Cervantes" award ceremony held at the University of Alcalá in Alcala de Henares, Spain. The prize is one of the most regarded literary awards in Spain and Latin America, and is granted annually to honour the lifetime achievement of an eminent writer in the Spanish language. Nicaraguan author Sergio Ramirez Mercado was deemed worthy of this year's Miguel de Cervantes' literature award. On the second day of their visit to Japan, on April 23, 2018, King Carl XVI Gustaf and Queen Silvia of Sweden, accompanied by Japan's Emperor Akihito and Empress Michiko visited the special exhibition 'The Art of Natural Science in Sweden' at the JP Tower Museum Intermediatheque in Tokyo. This year, Sweden and Japan celebrates 150th anniversary of start of their diplomatic relations. 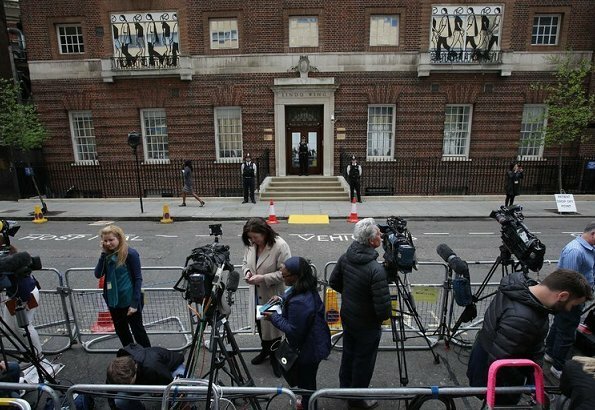 Kensington Palace announced that the Duchess was admitted to the Lindo Wing of St Mary's Hospital in central London on Monday morning. 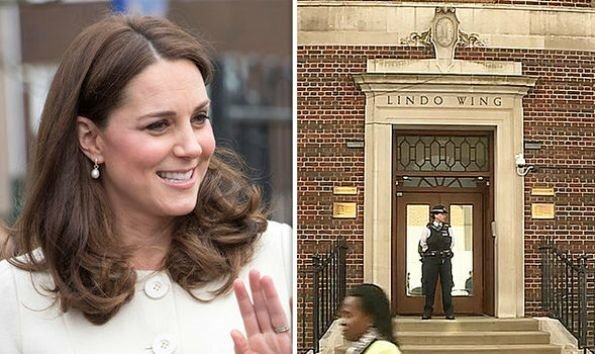 The Duchess of Cambridge was admitted to the Lindo Wing at St Mary's Hospital earlier on the morning of April 23. On April 22, 2018, Queen Sofia of attended the board meeting of "The Queen Sofía College of Music" (Escuela Superior de Música Reina Sofía), and a concert of the school. The Reina Sofía School of Music was created in 1991 with the double aim of supporting the development of young musicians and bringing music closer to society. Queen Sofía, is the Honorary President of the Queen Sofía College of Music, and the School’s Board of Trustees gathers both public and private institutions under a common goal. On April 22, 2018, Prince Albert II, Princess Charlene of Monaco and Pierre Casiraghi attended the final match of the ATP Monte-Carlo Masters Series tournament at the Monte-Carlo Sporting Club in Monaco. 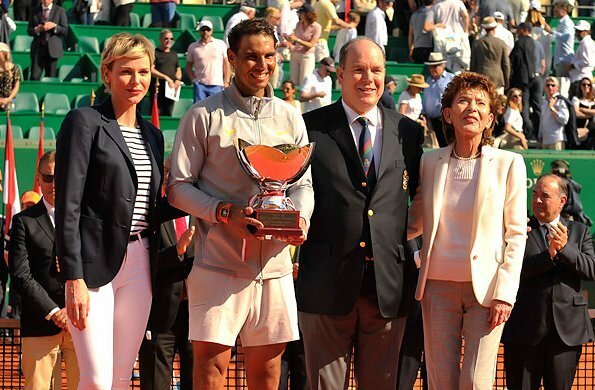 Spain's Rafael Nadal won a record 31st Masters title after beating Kei Nishikori 6-3, 6-2 in the Monte Carlo Masters. 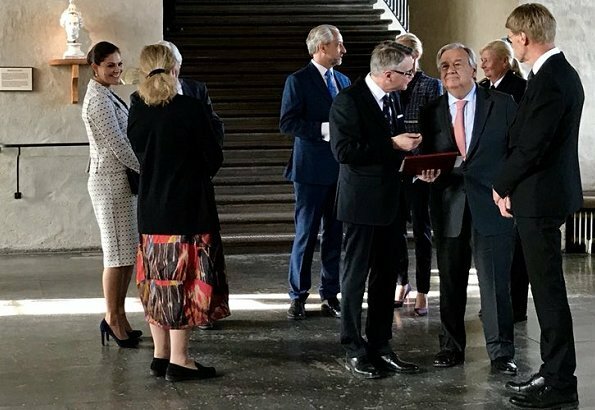 On April 22, 2018, Crown Princess Victoria of Sweden attended Dag Hammarskjöld Lecture 2018 held at Uppsala Castle this year. This year's speaker, Secretary General of the United Nations, António Guterres dealt with the subject of international solidarity and cooperation. 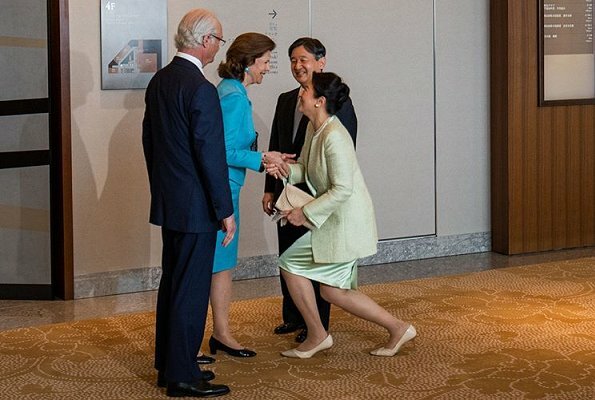 The Crown Princess also had a talk with Secretary General of the United Nations, António Guterres. The event held every year is being held jointly by Dag Hammarskjöld Foundation and Uppsala University. This year, Sweden and Japan celebrate 150th anniversary of start of their diplomatic relations. On the occasion of that anniversary, the King Carl XVI Gustaf and Queen Silvia of Sweden visits Japan between 22 and 25 April 2018 on the invitation of the Japanese Government. 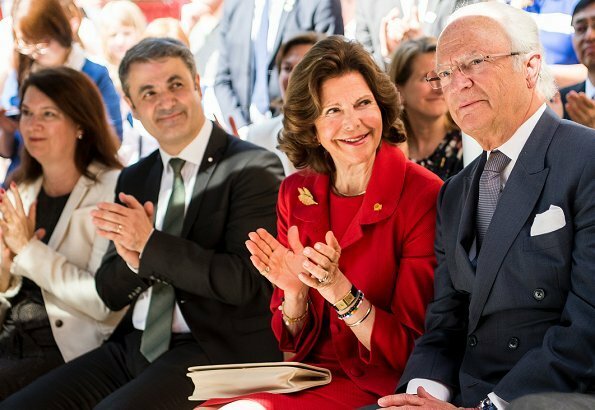 On the first day of the visit, King Carl Gustaf and Queen Silvia attended an event at the Embassy of Sweden in Tokyo. Then, the King and the Queen visited the National Museum of Modern Art, Tokyo.